Food safety outbreaks pose a significant burden to public health and welfare, as well as to the economy. Unsafe food is very costly for low and middle-income economies, which lose around USD 95 billion in productivity each year, with employees who are too ill to work. Product recalls are also extremely costly for food producers. “Time is critical when dealing with a food safety issue with the average direct cost of a product recall known to be around USD 10 million,” said Stuart Bashford, Bühler’s digital officer. Laatu reduces microbial contamination in dry goods using low-energy electrons. It is able to destroy more than 99.999% of Salmonella with minimal impact on the internal structure of the food, maintaining quality and nutritional value. 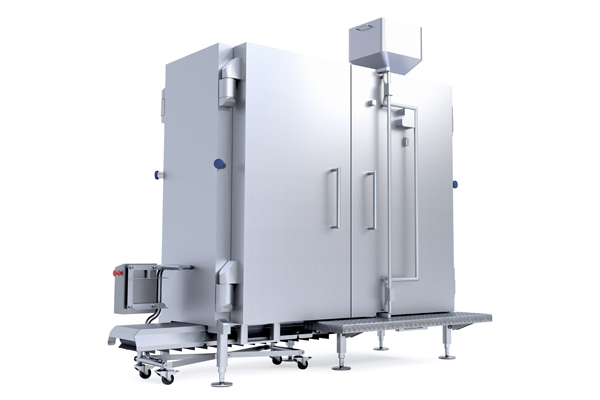 When compared to conventional technologies, Laatu has a significantly smaller footprint and can be implemented anywhere in the processing line. Moreover, Laatu provides a cost-efficient and environmentally-friendly solution, reducing energy consumption by up to 80% in comparison to steam, without introducing water or chemicals. Tubex Pro is a smart, self-optimising scale system that produces a constant flow of production data, self-optimising its measuring algorithm according to product flow characteristics and the plant environment. With hygienic design, a high level of food safety and the potential to securely log product data using blockchain technology, Tubex Pro with Bühler Insights supports safe food production with full transparency and traceability along the food value chain. These solutions connect to the Bühler Insights IoT platform powered by Microsoft Azure. Laatu, Tubex Pro, and Bühler’s Yield Management System are connected to Bühler Insights, which is powered by Microsoft Azure. Data can be integrated with the blockchain where it cannot be changed, providing consumers, retailers, and food producers with an almost real-time, traceable and secure audit trail. “With this integrated food safety and yield management solution, you can capture the date, time, batch, and input parameters used on a specific product and then store all that data on the blockchain,” said Nicolas Meneses, Laatu project manager at Bühler. “With our global reach and network, we have a tremendous leverage on bringing down food poisoning levels and help our customers reduce food waste,” said Ian Roberts, chief technology officer at Bühler Group.